TODOS fyller fem år, og feirer med bowlingkveld! 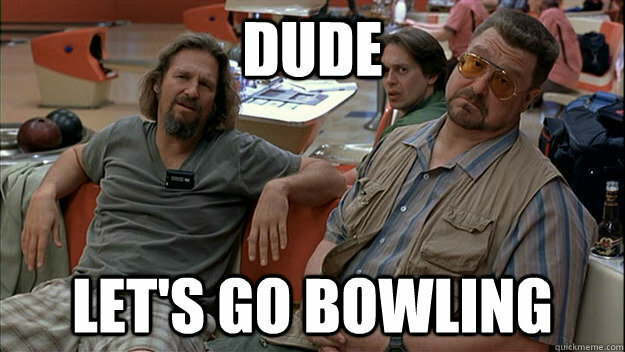 TODOS inviterer deg til en kveld med bowling, biljard og hipp hipp hurra! Feir med oss den 2. mars mellom 18-20 hos Bybowling i Storgata 68, vi har booket lokalet for oss i disse to timene. Vær vennlig å registrere for eventen slik at vi vet hvor mange som kommer og kan planlegge deretter. Vær oppmerksom på at dette er et arrangement for PhD-studenter og Post-docs ved UiT! TODOS turns five years old, and its time to strike! TODOS invites you to an evening of bowling, billiards and hip hip hurrah on the evening of 2nd March between 18.00 and 20.00. Join us to play and socialize at Bybowling on Storgata 68, the place will be all ours for 2 hours. Please register for the event so that proper arrangements can be made. Please note: This is an event for Uit PhDs and Post-docs only! Leadership skills may become handy both during and after your PhD. Sign up now for two days lectures about leadership, and two days of practical seminar given by Nordnorsk lederutvikling. The course run from 10–13 May 2016. Most PhD students have little leadership experience and most lack leadership training or formal education to show for on their CV. Furthermore, few PhD-students are aware of their personal skills and leadership potential, or how to develop these. Despite these facts, many jobs available to candidates with PhD degrees, both outside and within academia, include leadership tasks such as project management, team leadership and supervision. This course aims to prepare PhD students to take on leadership tasks once their degrees are completed. This will be achieved through introducing different leadership concepts and raising the PhD students` awareness of the value of leadership and how leadership takes many forms. The second main objective is to make the PhD students reflect upon their own problem solving style and the associated advantages and disadvantages. Writing a PhD benefits from the acquisition of competencies outside of the specific study, e.g. being aware of current academic norms, knowing how to retrieve, manage and treat references, handling scientific research data, and being up-to-date about open access publication. Take control of your PhD Journey: From (p)reflection to publishing is a seminar series organized by the University Library, designed for PhD students coming from all fields of study. It consists of five independent, yet interrelated, seminars, each of which containing a mix of theory, discussion and practical exercises.